Fairgate Farm is a volunteer-driven urban farm nestled within the Vita Health & Wellness District on the West Side of Stamford, Connecticut. Our mission is to provide equitable access to organic produce and to strengthen the community through educational and harvest related initiatives. 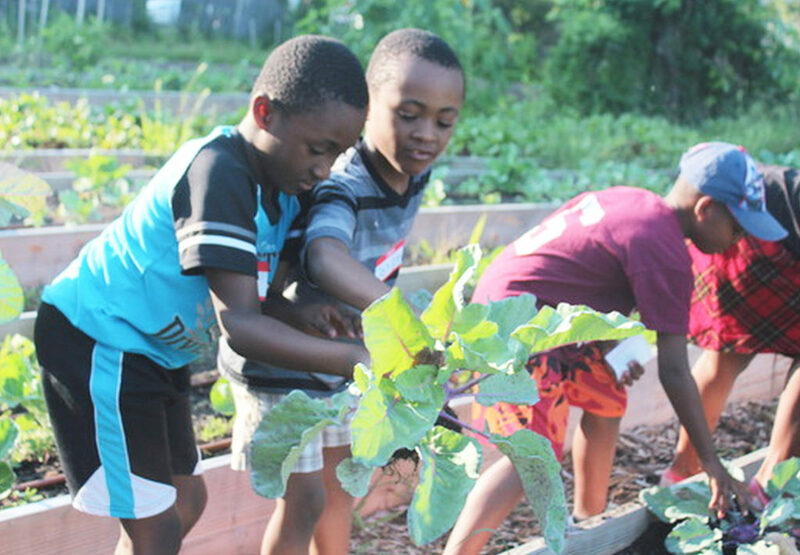 The Farm’s grapevine-shrouded outdoor classroom – Anthony’s Arbor – is a multi-purpose gathering space attracting numerous schools, nonprofit organizations and community members to share skills, learn about nature and build community. Throughout the growing season, Fairgate Farm hosts harvest-inspired festivals, cooking demonstrations and many workshops focused on environmental stewardship and nutritional awareness. Each year our volunteers harvest over 5,000 pounds of fruits, vegetables, herbs and flowers to benefit the community. One third of Farm produce is donated to local hunger-relief agencies while our volunteers and Farmers Market patrons enjoy the remaining bounty. Please come by for a visit, inquire about volunteering, shop at the Market or just stop in to enjoy the beauty of our unique community farm. You are always invited to take a tour! The warm weather is on its way and volunteer hours will begin on April 15!